We've previously reviewed Leatt hardshell body protectors and our conclusion was that Leatt products (neck braces aside) were well-designed but let down by poor assembly. 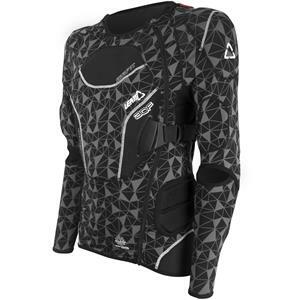 But after several years of hard use our Leatt Body Protector Adventure held up quite well even if the sleeves were not the same length and the zippers didn't match. That was enough to convince us to give Leatt another try. 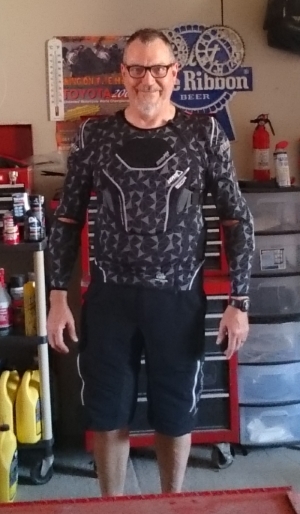 This time I chose the soft 3DF Airfit lightweight armor for less bulk and hopefully greater cooling in the heat of summer. After nearly a year of hard riding I'm impressed. Unless you need hardshell armor the 3DF Airfit Lite is lighter, cooler in the heat of summer and moves much better with your body. It's even easier to get on and off. Winner winner chicken dinner. Both the body protector and knee guards are constructed of extremely breathable materials and mesh and use CE certified soft shell 3DF padding for impact protection. 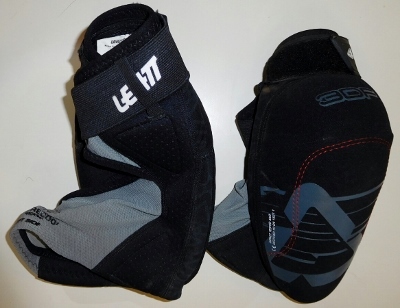 Leatt offers quite a variety of soft shell armor with the 3DF Airfit Lite being the lightest and least protective. I would not claim to have extensively crash-tested the 3DF system but it works at least as any soft armor in low-speed get offs. If you like under-the-jersey armor and soft knee guards these are among the coolest and most comfortable I've worn. No apparent assembly problems in any of this gear either. Recommended. The Good: Lightweight, reasonable cool. The Rad: Moves well, minimal bulk.